The modernist abstract style of the High Atlas Mountains of Morocco comes to life in this casually elegant design. 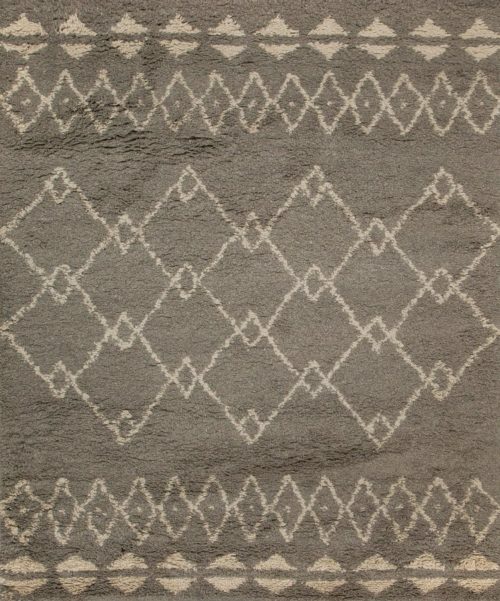 Woven using Tibetan wool in a thick plush pile, the heathered charcoal grey background is contrasted with the simple design in ivory. This piece has been crafted by hand in our true 50 knot quality.